July 2018 - American Limousines, Inc. Wedding season is already upon us — and many couples may already be planning ahead for their wedding in one or two years’ time. There are countless elements that go into any wedding, including amazing food, music, flowers, and (of course) the white dress. But transportation will prove to play a key role for most weddings, too. To ensure your Big Day goes off without a hitch, you’ll need to prioritize your transportation. Below, you’ll find some helpful tips to keep in mind when reserving your party bus or limo services for your upcoming nuptials. 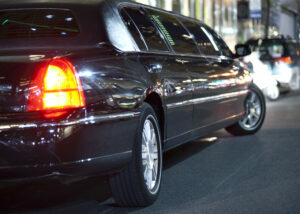 Book in Advance: The golden rule when you rent a limo or party bus is to do it early on. You shouldn’t book before you’ve picked the date and booked your ceremony and reception venues, of course, and you should wait until you know the size of your wedding party. But be sure to book at least six months in advance — or perhaps longer if you’re getting married in the spring or summer. Remember that you’ll be competing with other couples and (potentially prom-bound teens) during this season. The earlier you book, the more choices you’ll have. If you wait too long, you could be stuck with a subpar company or a vehicle that really doesn’t fit your needs. Think Outside the Box: Unless you really have your heart set on a particular vehicle (like a stretch limo or a classic car, for example), give yourself permission to get a little creative. You don’t have to rent a limo simply because it’s conventional. 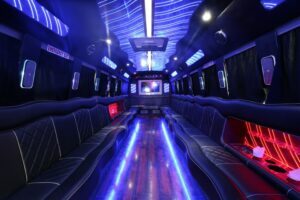 Party buses might be better suited to your needs, or you could choose an in-between option like a party van. If you aren’t exactly sure what you want, you’ll want to pick a company that offers a variety of vehicles in their fleet. 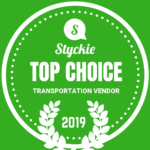 That way, you can go see these cars and buses in-person and determine which is the best fit for your style and budget. Provide Easy Access: Often, party buses and limos are reserved for the happy couple, their immediate family members, and others in the wedding party. But that doesn’t mean you have to leave the rest of your guests behind to fend for themselves. If you have a lot of out-of-towners attending your wedding or have a number of elderly or young people attending, you may want to provide some additional transportation from the main hotel to the ceremony and/or reception. While this may mean an additional cost for you, it could make all the difference for many of your guests who might not otherwise be able to come due to costs or lack of convenience. Give Yourself Time: Your wedding day will already be stressful enough; don’t add on more stress by failing to give your party enough time to get where you need to go. Make sure to factor in extra time for delays caused by traffic or interruptions while getting ready. Depending on where your wedding is taking place, you may need to add on 30 minutes each way (or more, if your area is particularly prone to heavy traffic at specific times of day). You may want to do a “test drive” on your own to be certain you’ve given yourself enough breathing room. Ask About Specifics: Don’t make assumptions about what your car or bus company will provide or what they will allow. If you need to make special requests (like decorations, music, champagne, or driver dress codes), make sure to do so before you sign your contract. Many companies will be more than happy to accommodate you — but they can’t read your mind or make every outlandish request come true. You can’t expect to secure a 24-karat gold-plated limo like the Sultan of Brunei’s vehicle, but you can probably discuss having a special playlist or a toast on-board. If you want to rent a limo for prom, a wedding, a bachelorette party, an anniversary, or any other special occasion, it’s understandable you’d have some questions and concerns about the process. Every company operates a little bit differently, so it’s important to ask about what’s most important to you before you sign on the dotted line. To alleviate your worries, we want to provide as much information as possible up-front. That’s why we’ve put together this handy FAQ post for you. Be sure to see the separate FAQ section of our website for even more information. How early should I reserve my limo? This is one of the top questions we get. The answer is pretty simple: as soon as you can. That way, you’ll have the best choice of vehicles available. If you know you’ll need limo services during a particularly busy time of year (like the spring and summer seasons), you’ll want to really prioritize booking early. Of course, it’s important to have all the information you need prior to booking so that you aren’t forced to make any big changes (and risk not being able to be accommodated). What information is necessary for a limousine rental reservation? Generally speaking, limo companies need to know the date of the event, specific times and number of hours you’ll be booking, the number of passengers in your party (and their names, in some cases), pickup and drop-off locations, special requests, contact information, and a form of payment. However, the limo company you choose will let you know exactly what they need for your individual reservation. How do I know which vehicle to rent? This can be tough, particularly when the company you choose has several vehicles to choose from. Although 60% of limousine rental companies have fewer than five vehicles in their fleet, our company has far more than that. The best vehicle for your situation really depends on the size of your party and your budget. We’d be happy to assist you in making your choice and introducing you to our fleet in person. Assuming all limo passengers are 21 or over, we will allow alcohol within the vehicle for your enjoyment. We do not, however, provide alcohol for our clients. You are free to provide your own. Please contact us for further information on this matter. Can I smoke inside my limousine rental? For the health and comfort of every rider, most limo companies will not allow smoking inside their vehicles. Because cigarette smoke lingers and can compromise the experience for guests, refrain from smoking inside your limo rental. Should I tip my limo driver? Though it is not required nor expected, tipping is a much-appreciated gesture for stellar service. How much to tip is entirely up to you (unless your limo company has a built-in gratuity policy). A 20% tip is considered to be standard for an excellent experience, though you can choose to tip more or less depending on your preferences. Here at American Limousines, we strive to make every occasion a truly special one. For more information about booking a limousine rental for an upcoming event or to ask any questions that were not answered here, please get in touch with us today.